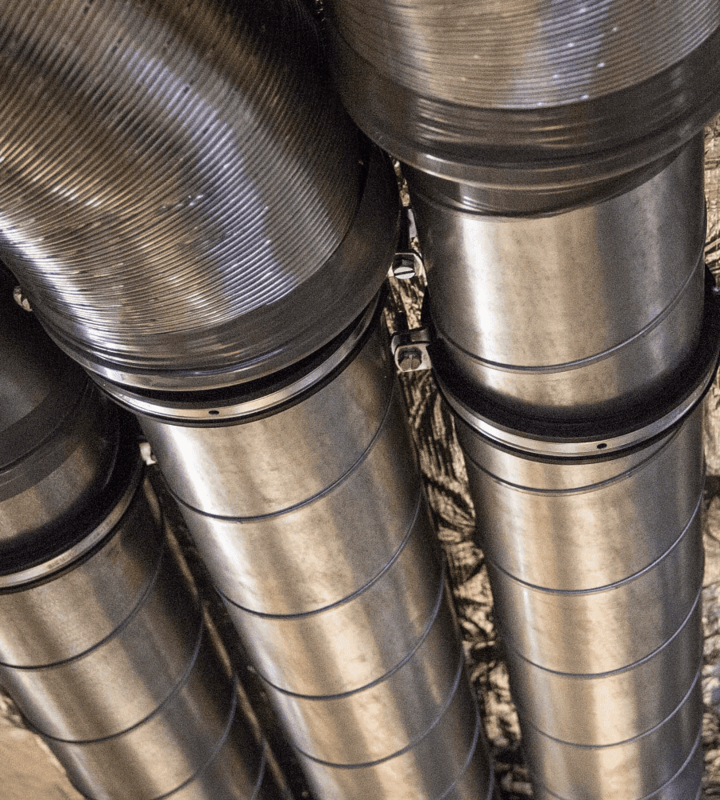 Duct heaters heat up the air that flows in a ducting system. The duct heater can be delivered in the desired size (round or rectangular). Depending on the minimum air flow, the surface load will be set. Electric duct heaters have a 2-stage overheat protection: the first stage switches on when the temperature reaches 50 °C (resets automatically); the second stage switches on when the temperature reaches 100°C (resets manually with button on the casing). The OMH-GNV, OMH-GNI and OMH-GNIS heaters have an internal temperature controller. For the OMH-G heaters, the EKR external heating controllers are used. The OMH-GNV heaters have an internal temperature controller that works with algorithm impulse/pause, which enables fine temperature control. The controller controls the load by triacs without moving parts, which causes no-noise commutation. A potentiometer is used to set the temperature. The manual restoration button and the temperature set point are located on the casing. The duct temperature sensor is required. The OMH-GNI heaters have an internal temperature controller that works with algorithm impulse/pause, which enables fine temperature control. The controller controls the load by triacs without moving parts, which causes no-noise commutation. The external temperature set point must be connected separately. The manual restoration button is located on the casing. The duct temperature sensor and the potentiometer are required. The OMH-GNIS heaters have an internal temperature controller that works with algorithm impulse/pause, which enables fine temperature control. The controller controls the load by triacs without moving parts, which causes no-noise commutation. The manual restoration button is located on the casing. The external control signal (0-10V) is required. The ratio between on-time and off-time is varied 0-100% to suit the prevailing heat demand. Don’t hesitate to contact us for more information about our duct heaters. Our skilled engineers are eager to explain the possibilities for your vessel. Download the Duct Heaters brochure for detailed information and technical specifications.